I appreciate that there's no standard nomenclature for the frustum. What about Jang's mode? Shawyer's mode? EW actually gets the smallest N/W value of the three. Frankly, if you had a source of microwaves equal to Q*100W, that photon rocket would probably be more efficient than a frustum at exerting thrust because there are fewer losses. The predictive formulas therefore satisfy the "Todd conjecture"
Wow! Thank you for going through that analysis. The "Todd conjecture" huh? I call it the "Desiato effect" and it usually happens sooner or later, when I'm around. I will take a closer look at this as I'm still doing research, but so far, I see the frustum as an asymmetrical attenuator. Therefore we would get more efficient thrust out of a photon rocket of equal power, Q*P. It mimics gravity in that it has a variable refractive index, but it mimic's it too well and exhibits the analog of frame dragging. The variable refractive index is the result of the force between the wave and the waveguide, not mass or energy density. 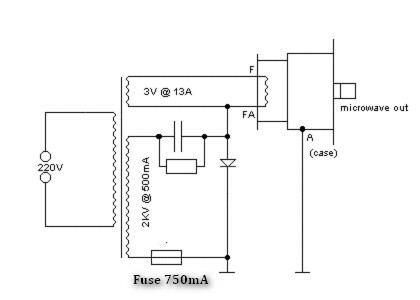 With a low power source, this would make an impulse engine. Input energy until the Q power is high enough to get a bit of thrust, then let it dissipate. Then do it again, repeatedly. Frustum + Spark-gap? Any Tesla coil fans out there? EDIT: I checked out the link above. None of the experiments to date have outperformed a photon rocket of output power Q*Pin. There is one data point at the high end of "Shawyer's Demo" where this did not hold. A photon rocket at a F/P = 1/c is 3.33 uN/kW. A "Q" of 300,000 would produce 1N/kW at the top of it's exponential decay cycle, as that energy is dissipated as thrust. Then it needs to be recharged again. and all the Brady experiments had a ratio to the photon rocket that was less than Q. Look at it this way. Given a momentary burst photon rocket of thrust Q*P, directed into a closed frustum, it gains back 80% of the forward momentum through reflections and only loses 20% as heat and opposing forces. If I go along with this disturbingly nasty model, then an EmDrive is kinda like a Dean Drive, jerking and scraping its way across spacetime. dean drive arguments will be effectively ruled out in the upcoming vertical tests if they still have thrust in that configuration right? Also both Dr White and Mr March are very familiar with Woodward's work and one thing Dr Woodward did in his book was trash/debunk dean drive arguments for his own set up. Because of this I doubt Dean drive artifacts might be ignored in their analysis and precautions. Good. We are in violent agreement to self regulate this thread and keep pseudoscience out. Otherwise, this effort is lost. This endeavour is by definition "pseudoscience". I.e. it defies all our logic and principles that we have previously and whole heartedly embraced. Space is an actual object and performs work on everything we observe. The "vacuum" does not exist and this experiment is proof of this statement. We must question everything that we have learned and realize that the truth may lie in "pseudoscience". This experiment reveals that we lack understanding of our physical reality and the "laws" we blindly accept as truth are evidence of this misunderstanding because if they were completely accurrate then we would have already solved the problem. This is a strange definition of pseudoscience, and seems somewhat distant from its actual meaning. Pseudoscience involves false, or otherwise inaccurate claims of adherence to the scientific method. Well then it is my mistake that I did not completely explain what I meant. What I meant was that the scientific method is not very helpful when we do not even have the science available. We should expect to obtain the answer completely by accident which would reveal the "new physics" much like thermodynamics was not developed until after it was physically discovered. I've read most of the links kindly provided about modes and energy but can find nothing against which to compare my cavity stored energy estimate of around 10-4 Joules for 50 W input. A coincidence indeed. I am reading his work now. He has a very interesting and unique approach but from what I read so far, he is still ignoring that space is an object. This "Unrah radiation" he uses is still based on virtual particles and not space itself and is only "created" (or seen) by moving objects. However, I particularly like his idea of a macroscopic Casimir effect because that certainly is a space-time anomaly. If I were to use his ideas I would only use this "Unrah radiation" to describe the doppler shift of the space-time wave function as a result of the object moving. An object does not need to be moving in order for it to "feel space" and/or be perturbed by it. The Casimir effect is an excellent example of this. As far as the allowable nodes he wrote about, he kind of contradicted himself by stating that only certain wavelengths would be allowed between the object and the Rindler horizon because he assumed that the speed limit for light is what limited the transfer of information but then later suggests that the speed of light can vary under this approach. I find this contradictory because if the speed of light can vary then nothing would limit information exchange thereby allowing all possible wavelengths. There also is the phenomenon of quantum entanglement. In this situation, the transfer of information is not limited by light at all but is instantaneously transmitted directly through the space-time mechanism whether the particles are moving or not. Thanks for finding that, I will keep reading to see what I can use. Not sure I would be correct in assuming this but I was using this link http://en.wikipedia.org/wiki/Q_factor . They give the resonant cavity Q = 2*pi*f*E/P where f is cavity frequency I would guess, E is the power stored and P = 50 watts in your case? I would wan't to solve for E but it seems wrong to exclude f so I keep f and E together to get Watts. I solve for f*E=Q*P/(2*pi) which I would assume f*E is in Watts inside the cavity as Q is dimensionless. Assuming Q is 1000 then 7957.7W is inside the cavity with 50W flowing out. If I divide by f @ 30E9Hz I get 2.6525823848649226*10^-7 Joules assuming 1cm wavelength @ c=3E8. Maybe I'm doing something wrong though. Thanks; I feel stupid. E = P Q/w = 2.10-5J (Q=6000, f=2.4 GHz, P=50W). Close enough. Just finished a Design Factor frequency scanner as attached. The frequency for the highest Df found is displayed as well as the 2x & 3x harmonics of that frequency. From this data it appears Shawyer operates his cavities at either the 2x or 3x subharmonic of his Rf generator frequency. This is probably due to the availability of the frequency source. Please throw rocks as I need this to be correct before designing my test cavity's parameters to be as close to those of the Flight Thruster and it's 3.85GHz design/operational frequency. You can alter the cavity physical parameters in c2, c3 & c4 and watch the resultant change in freq to obtain max Df at either your prime or 2x or 3x harmonic frequency. Once you get close, you can adjust the start frequency and the step increment to get finer resolution. The scanner has 10,000 steps. Attached updated version with a few more features, including the ability to select c velocity as in vacuum or atmosphere. McCullough has a paper "Newtonian gravitation from the uncertainty principle" which is very creative, but cannot possibly be right. Sitting next to me here is a Mettler mechanical balance that weighs down to half a Planck mass (10 ug). He asserts that anything smaller than mP does not gravitate. ADDED McCullough replies on his blog "You're right. I have had second thoughts about that paper. There's also some circular reasoning in it after eq 8. However, I still think the idea is sound (gravity from uncertainty) and I can now do a better job of the derivation. " A Quick search of the threads did not show me the answer so I was wondering if different gasses, pressures, mixes, even vacuum have been tried inside the sealed waveguide/chamber? Also would such tests be worth doing due to the fact atoms have different frequency/absorption characteristics ? - Feel free to delete the post if its a dumb/repeated question. I know it's simple, but I have to ask. Is the torsion measurement equipment sensitive to shifts in the balance of the mounted drive? In short, if the system were in fact acting as a sort of Maxwell's Daemon on the gases interior to the system, could this be perceived as "thrust?" these Design Factor numbers, calculated by the original spreadsheet I posted, make sense for a physical situation and are much smaller than the number you have in your spreadsheet of 20452.053 (which is more than 70,000 times larger) which is too large to make physical sense. EDIT: Shawyer's Design Factor formula has a singularity (due to the expression in the denominator) that leads to negative values under certain non-physical conditions. Since the negative values (and the values approaching infinity at Shawyer's singularity) are non-physical I would not display them in a spreadsheet because they may lead to confusion. Your / Shawyer's Df equation has a frequency input, which if set to the Rf source frequency indicated, gives the Df value you indicated. My spreadsheet and yours agree. Being an engineer I asked myself, what if the Rf source frequency was altered to find which frequency generates the best Df? So I created the ability for the Df to be calculated for a wide range of frequencies, the resultant Df calculated/plotted and highest Df (as per the resolution of the incremental freq steps) obtained. Have attached the latest version which shows the standard Df calc per cavity set of dimensions, and the best frequency and the resultant Df. There are now 3 cavity data sets, the standard Df calc at the indicated frequency, the highest Df and the frequency that generated that Df. By doing this series of calculations, to me it seems clear Shawyer operates his cavities at either the subharmonic 1/2 or 1/3 of best Df versus the Rf source. It may be that by supplying the cavity input Rf at 2x or 3x the optimal Df frequency, the Travelling Wave Shawyer speaks of is generated inside the cavity? Maybe you might care to simulate a cavity optionally Df resonate at 1/2 the applied Rf frequency? Might be interesting. BTW negative Dfs are generated if the applied frequency is lower than the optimal cavity Df frequency and positive if above. Simple to confirm. With this version you can select vac or air c.
I know it's simple, but I have to ask. Is the torsion measurement equipment sensitive to shifts in the balance of the mounted drive? => mass*x = .5*Thrust*t² = 50e-6(N)*45(s)² = roughly 50 g m : 50 grams moving 1 m or 500g moving 10cm... that would hardly get unnoticed ! There is also sensitivity to horizontal shifts in centre of mass orthogonal to the pendulum's arm that is linear and is directly proportional to shift (not its second derivative wrt time) and that could possibly explain sustained deviations of the arm from rest position without implying any movement (during the sustained phase). This is due to the fact that the axis of rotation of pendulum is not strictly vertical, therefore making it equivalent to a hanging pendulum in reduced gravity g*sin(theta) where theta is deviation from strict verticality. I'm not saying it is reducing gravity ! It's just that the equations are equivalent... and only with theta=0 makes the "equivalent hanging pendulum component" to cancel (and would make the experimental results strictly identical if performed in 0g or not). And a hanging pendulum (or pendulum with some component equivalent to hanging pendulum) is linearly sensitive to shifts in centre of mass. In short, if the system were in fact acting as a sort of Maxwell's Daemon on the gases interior to the system, could this be perceived as "thrust?" What mechanism could cause and sustain a density gradient (i.e. pressure gradient) of the gas inside cavity ? Gas pressure delta packs a lot of punch, this tends to equalize pretty quickly within a cavity... unless you can come with a precise mechanism that would allow (rough) quantitative estimate of a possible microwave powered gas pressure gradient build-up in the cavity, it's not possible to know if it would be enough to be significant (through the poorly characterized sensitivity of balance to centre of mass shifts). It may be that by operating the cavity at 2x or 3x the optimal Df frequency, the Travelling Wave Shawyer speaks of is generated inside the cavity? 1) Shawyer's Design Factor formula has a singularity (due to the expression in the denominator) that leads to negative values under certain non-physical conditions. Since the negative values (and the values approaching infinity at Shawyer's singularity) are non-physical I would not display them in a spreadsheet because they may lead to confusion. For the fixed frequency model our Dfs agree. However that frequency is not the optimal frequency to generate the highest Df for the cavity model. Negative Dfs occur if the Rf frequency is BELOW that of the optimal Df frequency and positive if above. If you take your spreadsheet and adjust the frequency, you will see the Df change. Set it to the max Df frequency values shown in my spreadsheet and you will see the recorded Dfs. All my spreadsheet does is to apply your excel Df equation to 10,000 different frequencies and then displays the frequency that is found to have the highest Df. What it says is the Rf freq Shawyer uses is 2x or 3x that of the optimal Df frequency. So he runs his cavities at a higher frequency that the optimal Df frequency which just happen to be 2x or 3x the best Df cavity value. Don't think that is coincidence the optimal Df freq is a harmonic of the driven Rf freq. Was probably done to obscure that is going on inside the cavity.